Pizza Express Dean Street has just made public the line-up for its Steinway two piano festival. 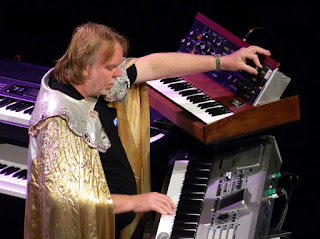 - The centre-piece is two nights / four shows with Rick Wakeman with son Adam Wakeman. - The unmissable jazz rarity is Keith Tippett with Howard Riley . - The best humour will be from Liane Carroll and Joe Stilgoe. - The most surprises will be on the opening night. - The most intriguing visitor is Dena DeRose.